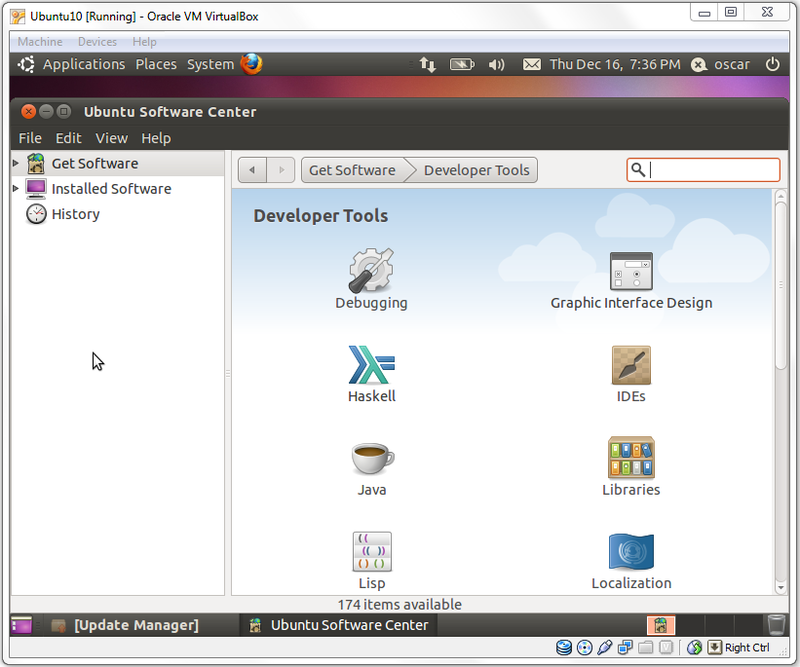 In the previous post, we installed Ubuntu on a virtual machine with VirtualBox. 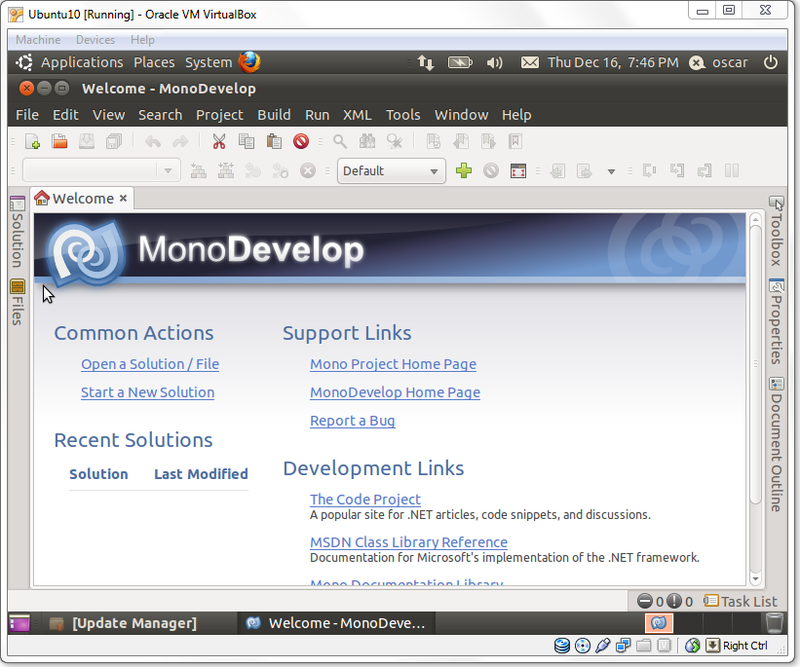 Now that we have Ubuntu running, we’ll go ahead and install MonoDevelop. 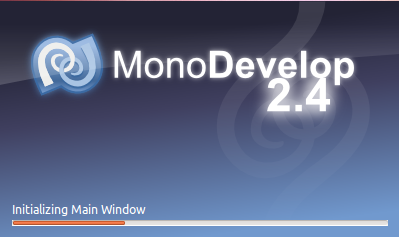 Just like Mono, MonoDevelop is open source and multi-platform. With Microsoft making Visual Studio Express available for free, there might not be a big reason to look for another IDE for Windows. 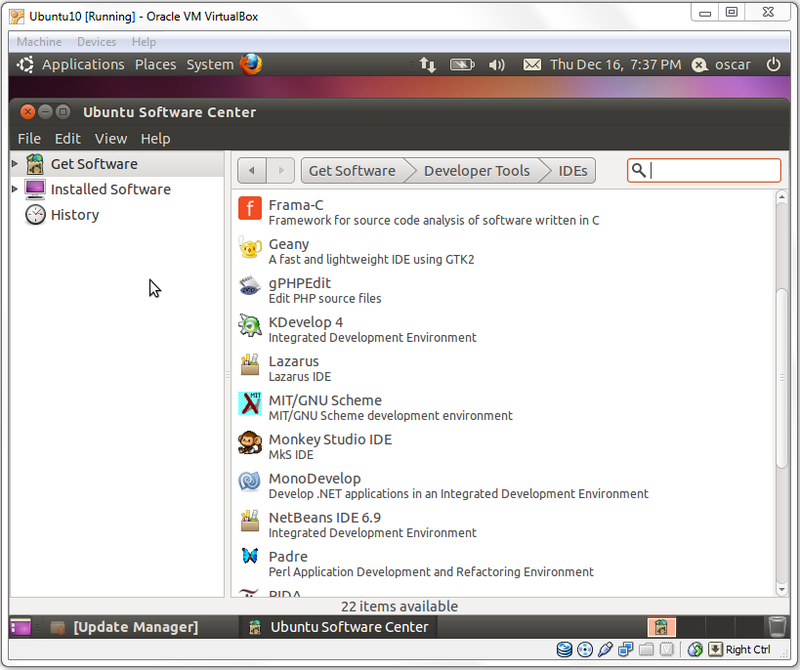 But if you intend to write .NET code in Linux, MonoDevelop is there to help. 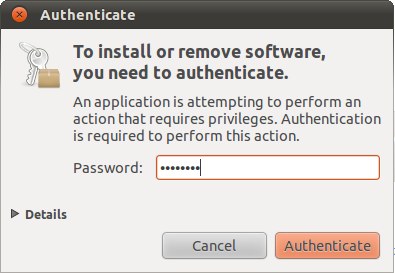 One of the reasons I chose to install Ubuntu was because it’s very friendly to the user. 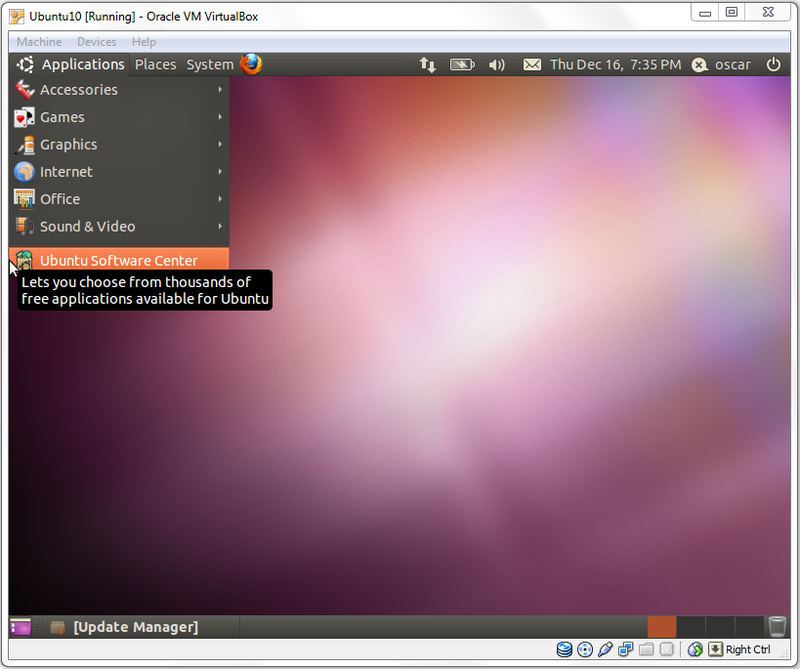 As you will see, Ubuntu makes it very easy to browse and install applications. Let’s get started. 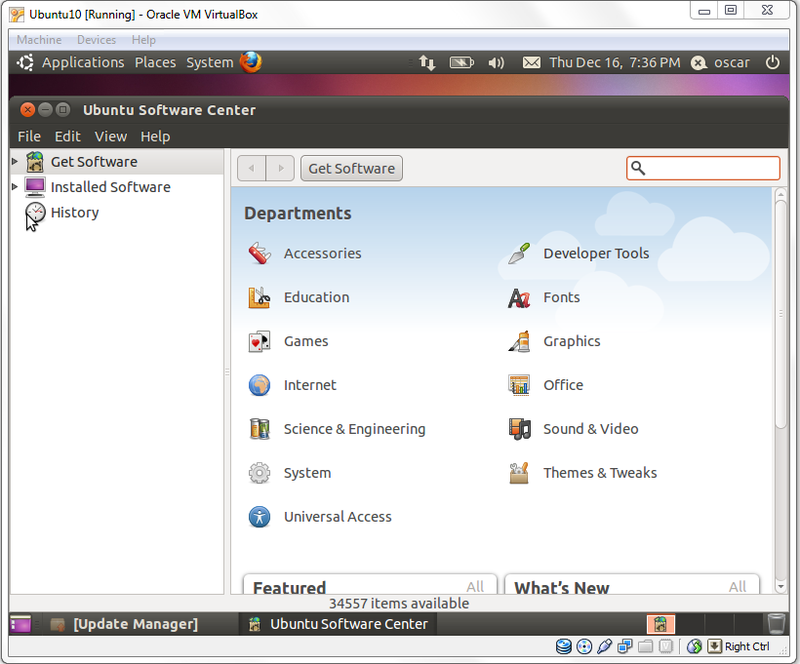 Go to the Applications menu and select Ubuntu Software Center. Ubuntu Software Center organizes software in categories called Departments. Click on the Developer Tools department. You’ll see the subcategories for developer tools. You’ll see the list of all the available IDEs. Scroll down until you find MonoDevelop and click on it to select it. You will be asked to authenticate. Enter your password and click on Authenticate. The installation will start, and you’ll see the progress on the main screen. 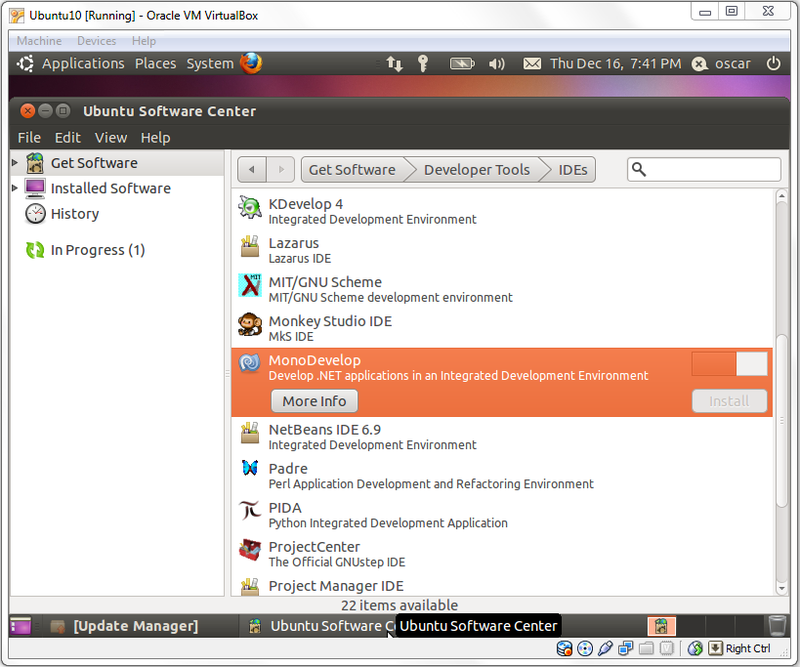 When the installation is complete, you’ll see a little mark right below the MonoDevelop icon. Go back to the Applications menu. You will see a new menu for Programming, and you will find MonoDevelop in there. Click on MonoDevelop to open it. When MonoDevelop has loaded, you’ll see the Welcome page. There you have it, an open source IDE to develop .NET applications right on Linux. Please leave your comments.